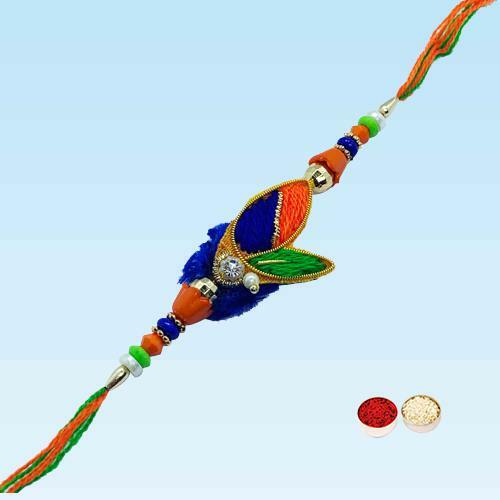 Deck the feel of wonderful Raksha Bandhan by ordering online this Dazzling Fashionable Rakhi that also includes a free Rakhi, Roli Tilak and Chawal. The Rakhi is beautifully gift wrapped. The design might change a little.